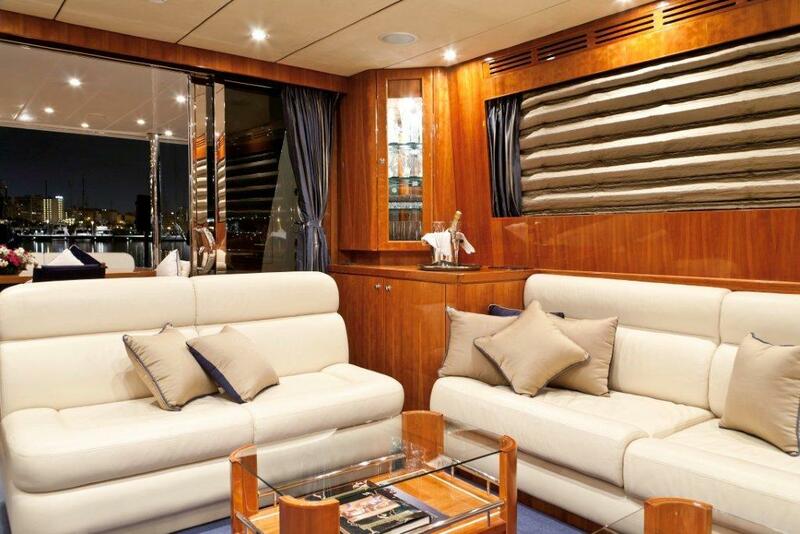 This Motor Yacht is a Monte Fino 78 launched in 2008 and measures 23.7m (78ft) in length. 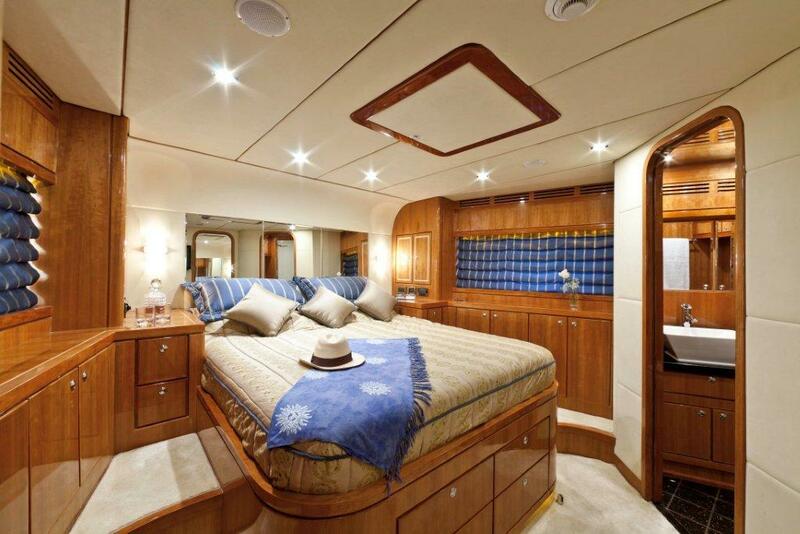 This charter yacht offers style and elegance for up to 8 charter guests. 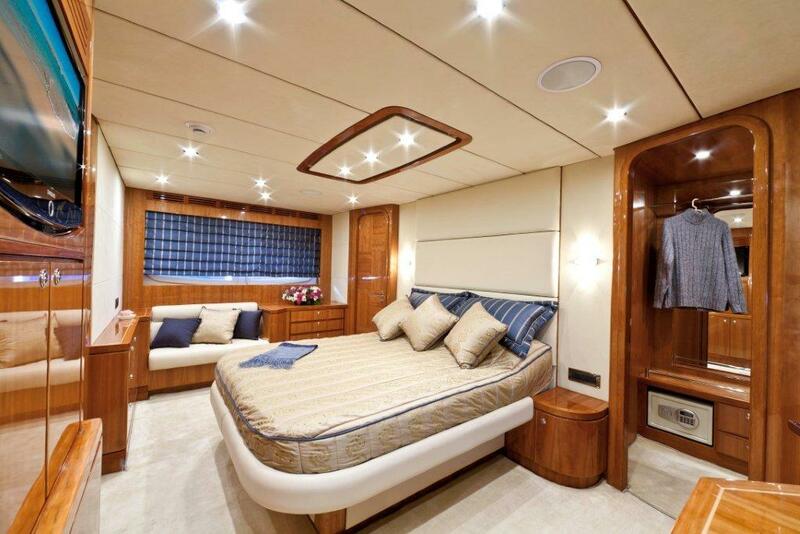 Offering a modern yet warm interior, the salon is carpeted in a pale sea blue tone. 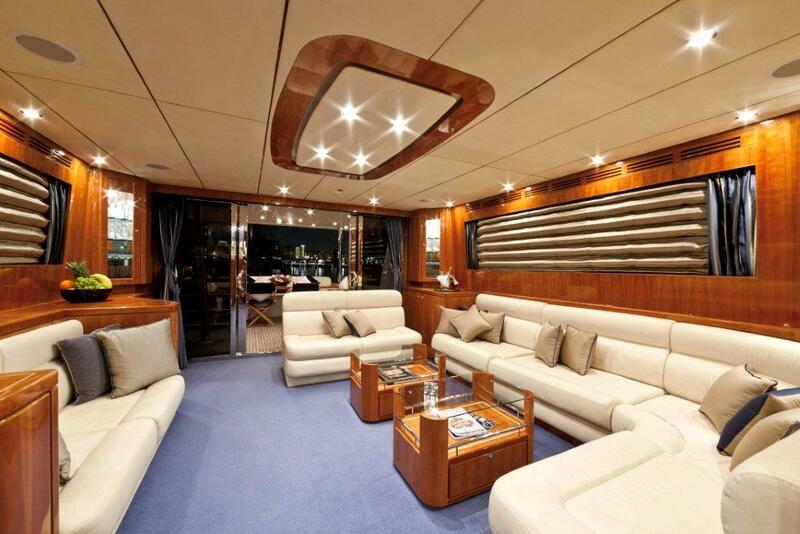 A subtle cream leather suite with 2 small coffee tables are to port. 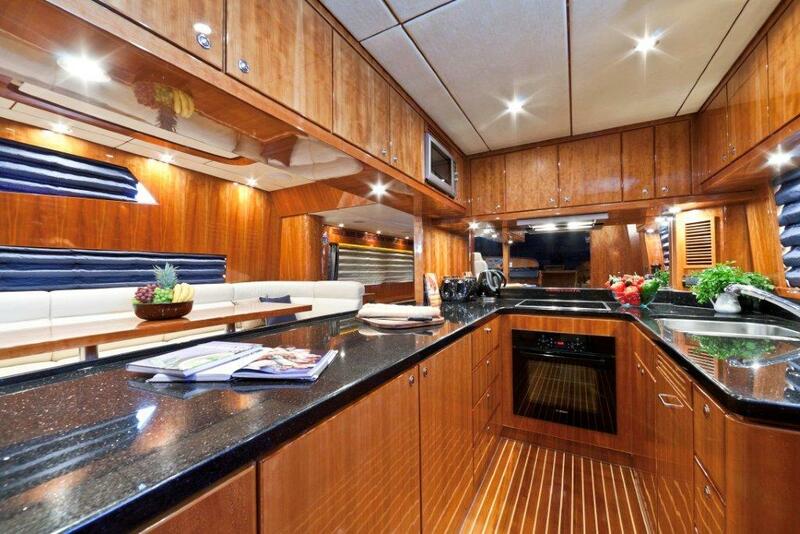 On the starboard side is additional seating and a wet bar. 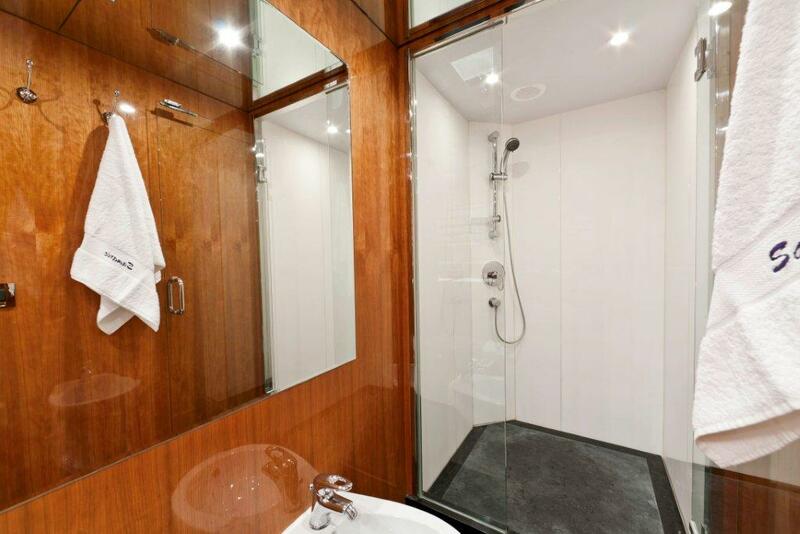 Guests can enjoy full entertainment in the salon with a 40″ satellite flat screen TV, surround sound and music system. 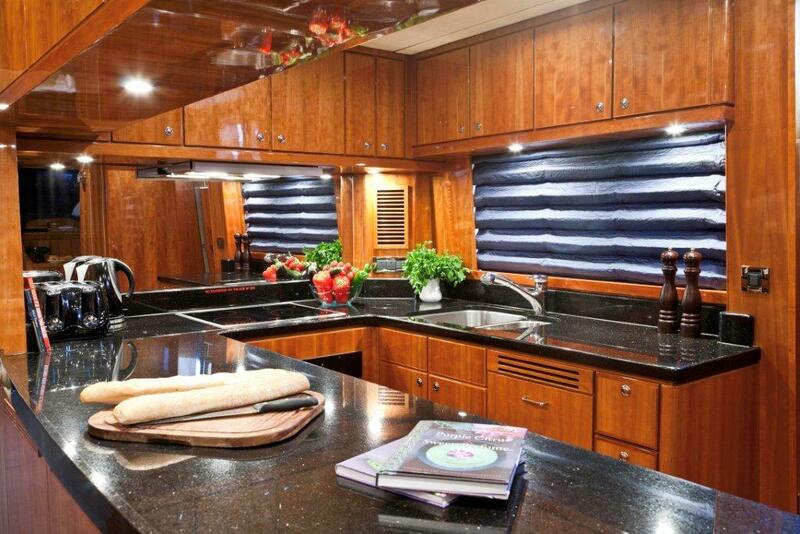 Forward of the salon, a separate formal dining area is to starboard and full galley to port with a marble breakfast bar. 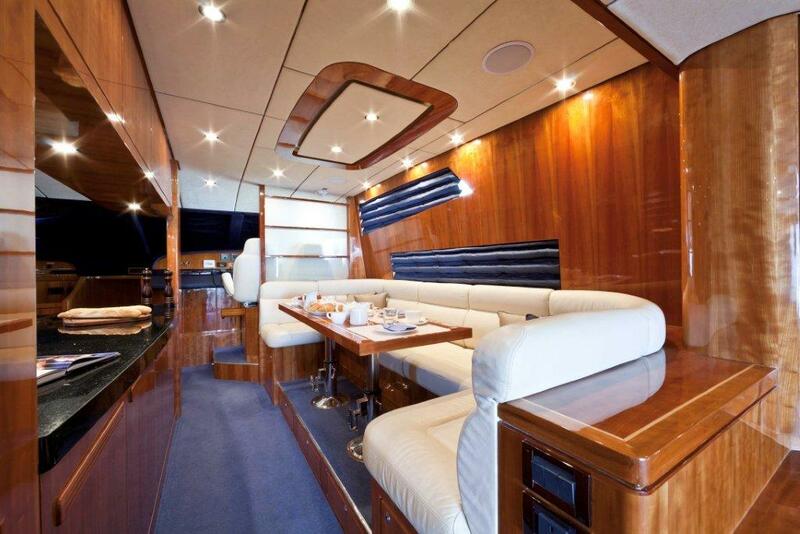 This motor yacht boasts plenty of teak deck areas to enjoy. 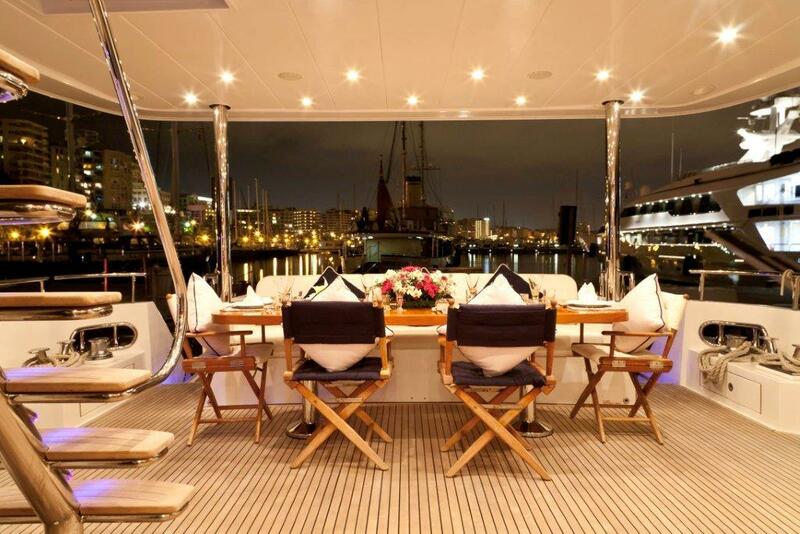 Adjacent to the salon, the shaded aft deck can be accessed through sliding glass doors offering guests an alfresco dining option at a beautiful cherry-wood table. 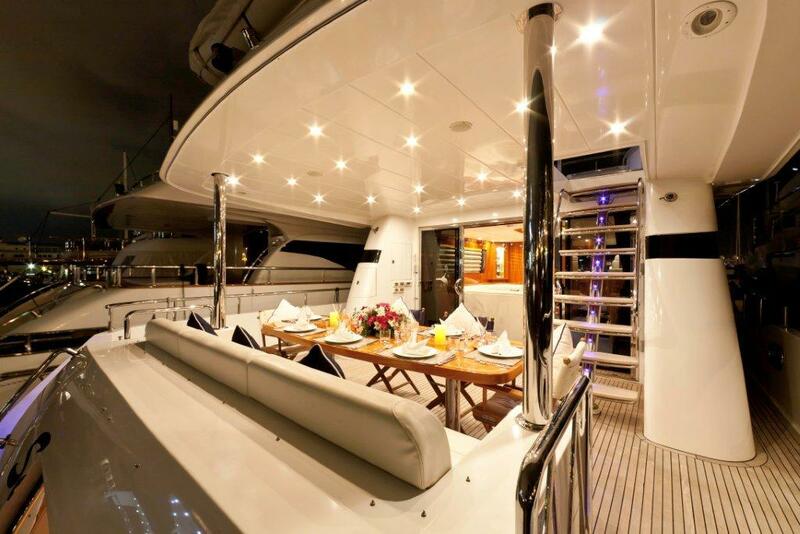 Mood lighting and music create a romantic atmosphere if desired. 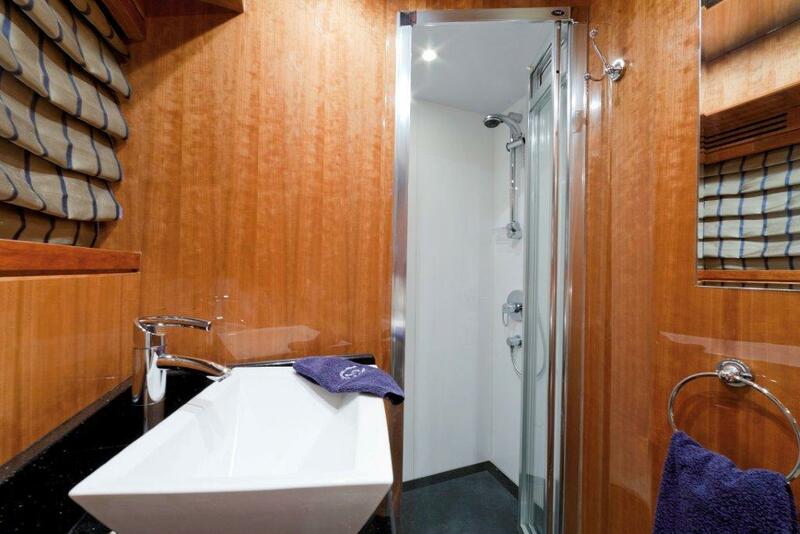 Easy access from port and starboard of the aft deck ensure all guests can make the most of the many water toys on offer aboard the yacht. 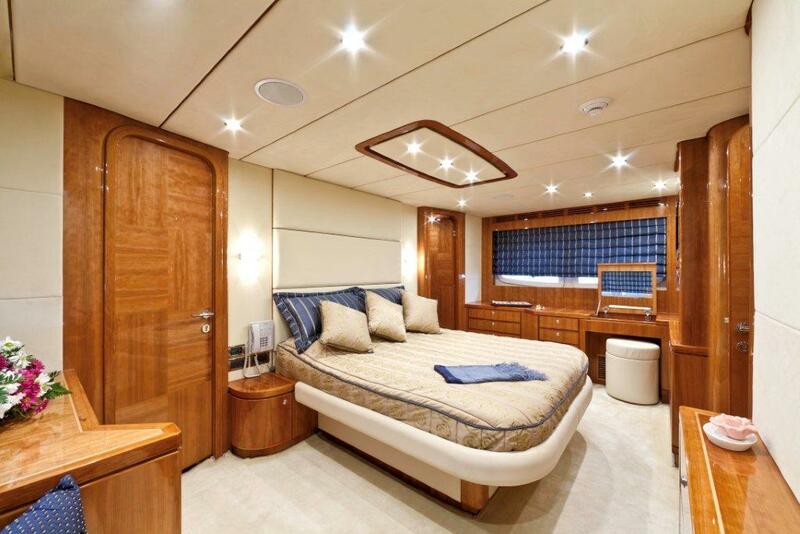 Forward on the main deck, sun lovers can soak up the warm rays on the large sunpad. 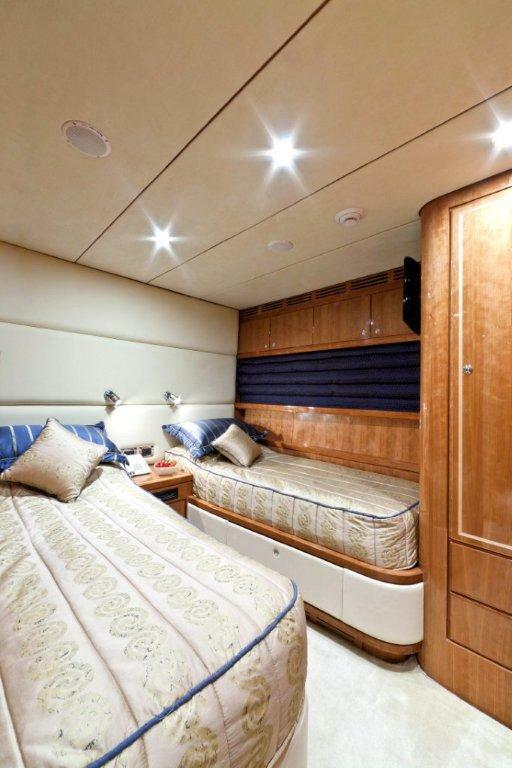 Above the main deck, this motor yacht offers a well-appointed flybridge complete with an alfresco dining option, sun loungers, a double sunpad, BBQ, prep station and drinks cooler. 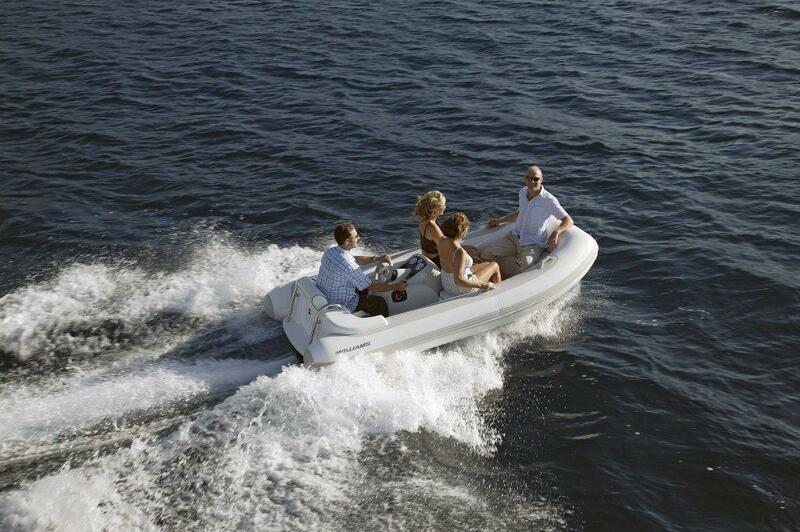 An optional Bimini cover is available. 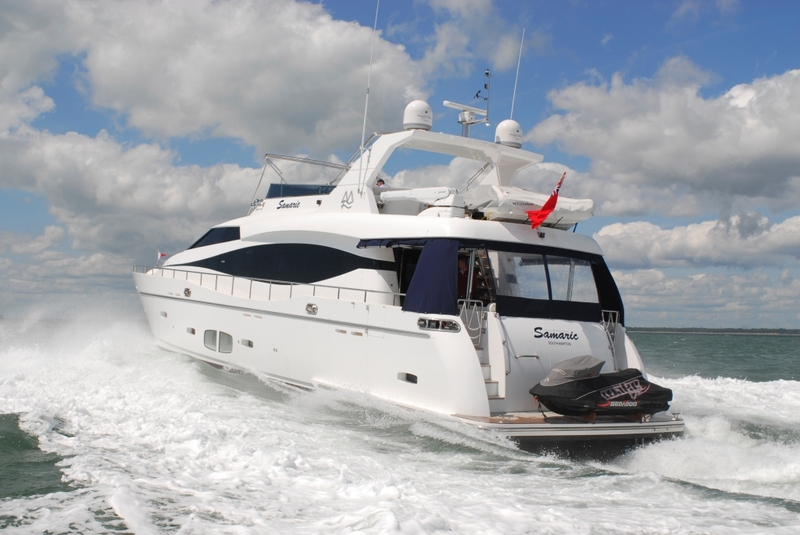 The motor yacht has a beam of 5.8m (19ft) and draft of 1.6m (5.6ft), the yacht cruises comfortably at 20 knots with maximum speeds of 25 knots powered by 2 x CAT 1550HP engines.